He graduated from medical school in 1852 and set up a practice in Oxford, IN. He also served in the State Legislature in 1861 before he was commissioned Assistant Surgeon, 20th Indiana Infantry on 23 July. He resigned on 9 January 1862, but was commissioned Surgeon and mustered into service with the 14th Indiana Infantry 21 April 1862 after their previous Surgeon George W. Clippenger resigned. 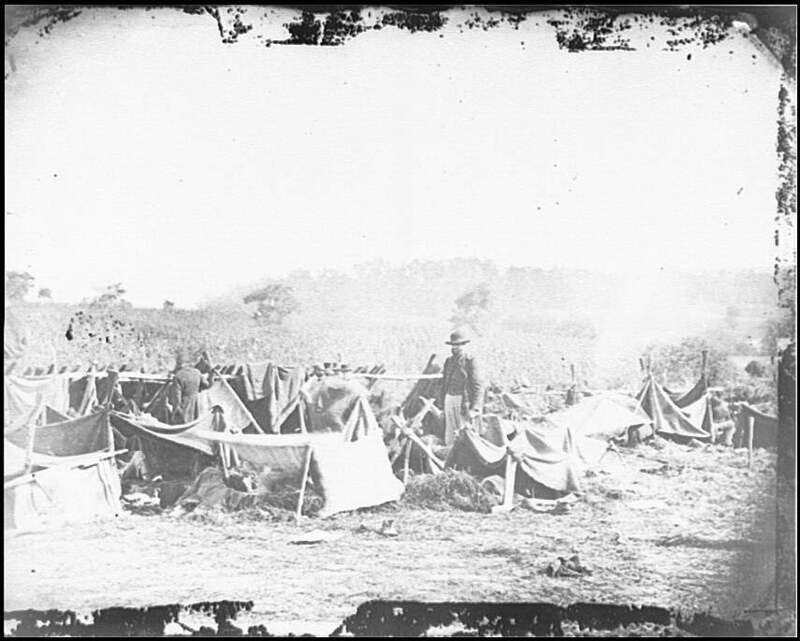 He was in charge of a field hospital on the Otho J. Smith Farm near Keedysville after the battle, which was photographed by Alexander Gardner between September 18th and 21st [more about photo]. He treated both Confederate and Federal wounded. He resigned his commission 28 December 1862 due to illness and exhaustion. He moved to Findlay, OH in April 1863, and was there for the rest of his life. He published frequently, was active in medical associations and boards, and served a term on the Findlay town council. Service from the Adjutant General1 and the Historical Data Systems database. Details from Howard A. Kelly's American Medical Biographies (Vol. II, 1912) and Beers' History of Hancock County, Ohio (1886). His gravesite is on Findagrave. His picture from a photograph offered for sale, among a collection of other Hurd artifacts, by Alex Peck of Medical, Surgical, and Dental Antiques.